Your pantry staple just kicked it up a notch! Our FatButters are so finger-lickin’ phenomenal, you’ll likely consume the entire jar with a spoon. 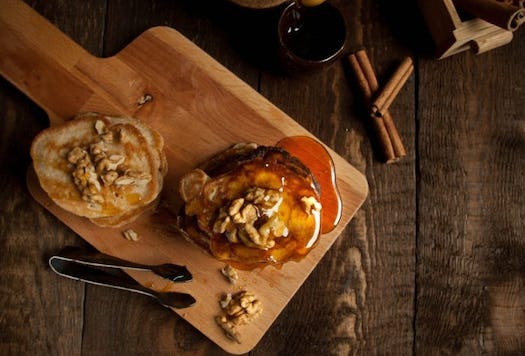 But if you can resist the temptation of mass devouring, then here are some recipes you can try! 12 ways to incorporate more healthy fats into your diet? Oh hell yeah. 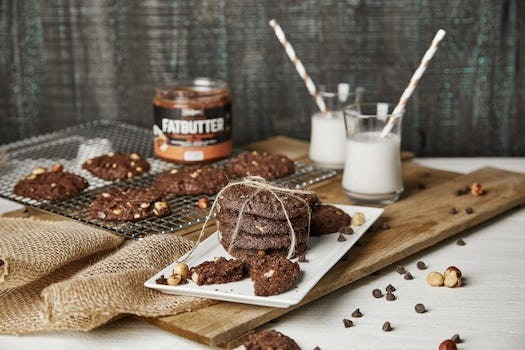 FatButters have officially optimized your breakfasts, snacks, protein shakes, and desserts. 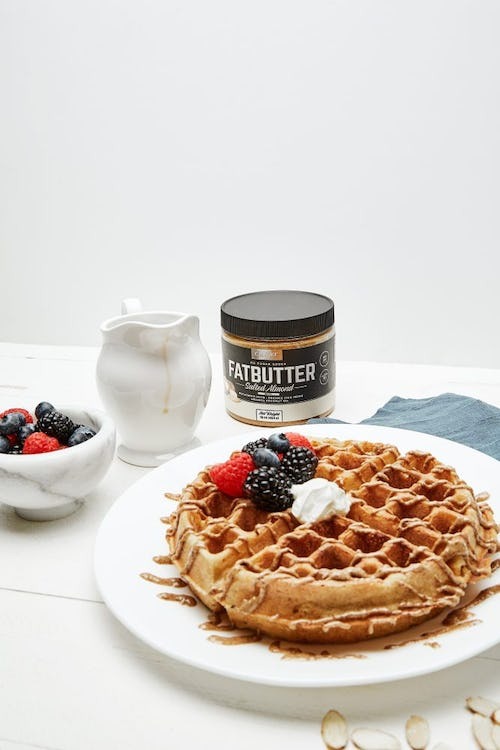 The delicious, creamy taste of your favorite nut butter with an extra dose of beneficial fats to support all your ketogenic or other dietary goals. Just because you're limiting your carbohydrate intake doesn't mean you can't enjoy this simple to whip up breakfast favorite. This recipe is a keto-friendly alternative with nearly identical texture and flavor. You won't even realize you're missing the oats. Mix all ingredients except the fruit in a Tupperware container or mason jar. Mix with a spoon until combined. 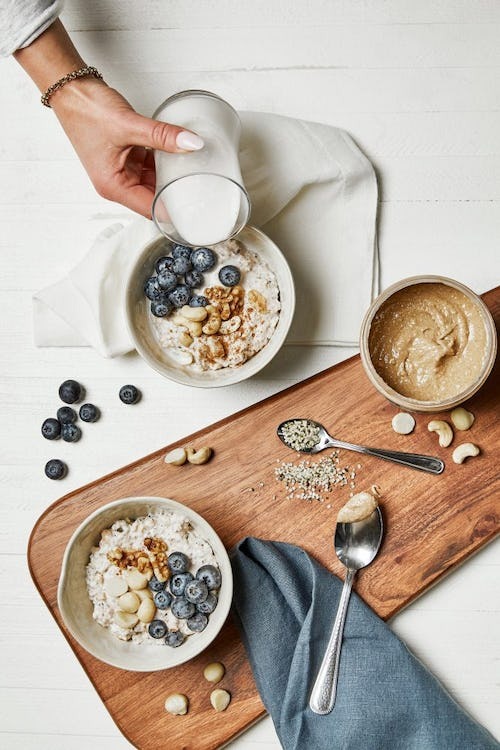 Don’t worry, the chia seeds and hemp will absorb the excess milk to create a more oatmeal-like consistency. Place in refrigerator for 3 hours or overnight. Top with fresh berries and nuts of choice when ready to enjoy. If you’d like a little more protein, add 1 scoop of Onnit’s Vanilla Whey Isolate protein powder when mixing prior to refrigeration. *We used organic, raw crushed cashews and walnuts. **If you don’t have this on hand, you can substitute with ¼ tsp. vanilla extract plus 2 tsp. granular sugar substitute of choice, like erythritol-based “Swerve” or Stevia powder. 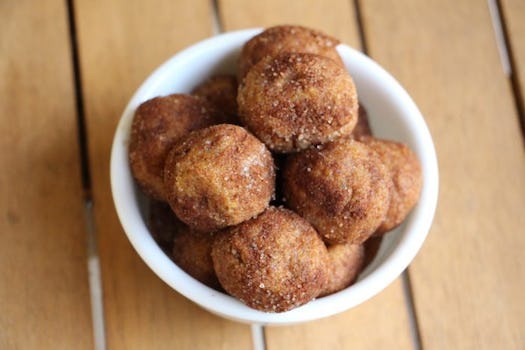 Add Snickerdoodle Fatbutter, Stevia Sweet Drops, and softened butter to a medium mixing bowl. Stir to combine. Mix in the coconut flour, almond flour, 1 tsp. cinnamon, and 2 tbsp. granular sugar substitute of choice. The mixture should be thick. Add the the remaining cinnamon and granular Stevia on a plate. Coat your hands with coconut oil to prevent sticking. Gently roll a quarter-size of the mixture into a ball in the palm of your hands. Then gently roll into the cinnamon-Stevia mixture. Place in a Tupperware or on a plate. Repeat with remaining batter. Freeze for 10 minutes or refrigerate for 20 minutes before serving. Keep in airtight container in fridge for up to a week. *If you don’t have this on hand, you can substitute with ¼ tsp. vanilla extract plus additional 2 tbsp. granular sugar substitute of choice, like erythritol-based “Swerve” or Stevia powder. **If you're sensitive to sweeteners, you might want to decrease the measurement slightly. Add the Fatbutter, eggs, almond flour, cinnamon, baking powder, vanilla extract and salt to a medium mixing bowl. Whisk with a fork until smooth. Heat a small saucepan on medium heat. Grease with butter, ghee or coconut oil to prevent sticking. Add ¼ of the batter to the pan. The batter will be thinner than a standard pancake batter. Spread into a circular shape. When the batter starts to bubble on top, it’s time to flip! Repeat with remaining batter. Add all ingredients to a high-powered blender. Pulse until smooth. Enjoy as a pre- or post-workout protein shake or simply as a snack in between meals. Preheat oven to 350 degrees. Line a baking sheet with parchment paper or lightly grease with coconut oil to prevent sticking. In a large bowl, mix Onnit Chocolate Hazelnut Fatbutter, coconut oil, vanilla extract and egg until combined. Add sweetener of choice, baking soda, salt and chocolate chips. This part is easier to use your [clean] hands. Mix until everything is nice and combined. You can either roll two tablespoons of the batter into a small ball or use a mini cookie scoop to save your hands. Place each ball onto the baking sheet, repeat for approximately 15 cookies. Using a fork, press each cookie down slightly. Bake for 8 to 10 minutes. Let cool for 5 to 10 minutes prior to serving. *We used Erythritol-based sugar substitute, Swerve (granular). In a small bowl, mix the mini chocolate chips with 1 ½ tbsp. of the Fatbutter. Using your hands, gently roll and form this mixture into a ball. Place in refrigerator to firm up while you move onto the next step. In serving mug of choice, mix together the remaining ingredients until thoroughly combined and a batter-like consistency is formed. You might have to heat the remaining 1 ½ tbsp. of Fatbutter for 10 seconds in the microwave so that it can be easily mixed in. 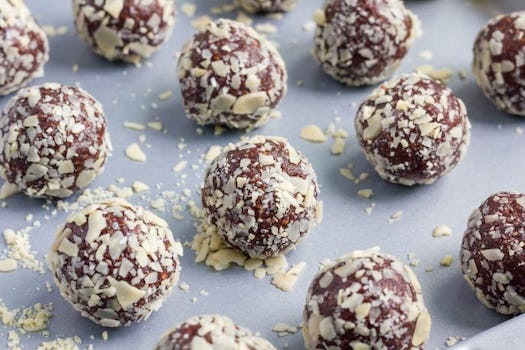 Remove the chocolate Fatbutter ball from the refrigerator. Carefully place into the center of the batter, pushing down until mostly covered by batter but not all the way to the bottom. Microwave mug for 50 seconds, or until the cake is barely set, and the center is a rich, chocolatey, molten lava mouthful of joy. You’ll understand soon. *If you don’t have this on hand, you can substitute with ¼ tsp. vanilla extract plus 2 tsp. granular sugar substitute of choice, like erythritol-based “Swerve," Stevia powder, or monk fruit. Berries have one of the lowest sugar contents of all fruit and are packed with antioxidants. 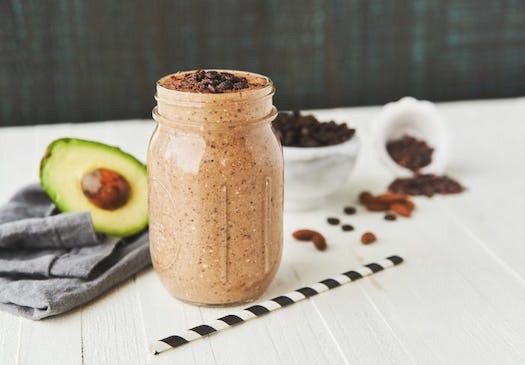 If you’re not strict keto, but looking to lower your carbohydrate and sugar consumption, this protein shake is perfect for you with only 6g of sugar and 13g of net carbs. Add all ingredients to a high-powered blender. Pulse until smooth. 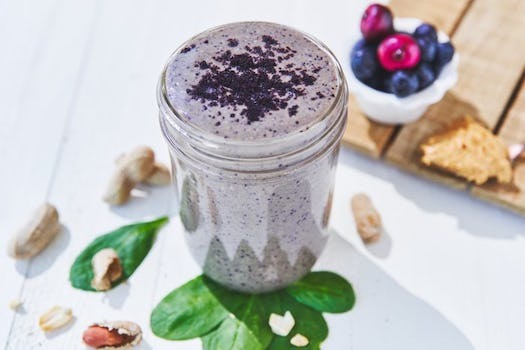 Enjoy as a pre- or post-workout protein shake or simply as a snack in between meals! In a large mixing bowl, add the wet ingredients: Salted Almond Fatbutter, coconut oil, vanilla extract, unsweetened almond milk, egg, and coconut cream. Mix thoroughly to combine. In medium mixing bowl, add the dry ingredients: cacao powder, almond flour, baking powder, salt and Truvia. Mix, then add the dry ingredients to the wet ingredients. Stir to combine. The batter will be very thick. In a Pyrex or non-stick baking 8x8 pan. Grease the bottom sides with coconut oil. Sprinkle ½ of the chocolate chips and almond slivers on the bottom, then pour the “batter” on top and sprinkle with the other half of the chocolate chips. Bake for 15 minutes. Let cool, then cut into 16 squares. Store brownies in an airtight container in the fridge. 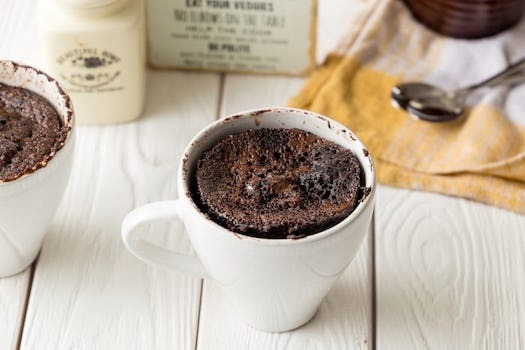 *Look for virgin, unrefined, cold-filtered **For more cake consistency, use 2 eggs *** I like the way Truvia bakes, but feel free to substitute with other sweeteners; I just can’t vouch for the taste. ****We used Enjoy Life dark chocolate morsels, but to decrease sugar intake, you can use Lily’s Stevia-sweetened mini chocolate chips instead. Add all dry ingredients except for the slivered almonds in a medium mixing bowl. Mix to combine. Stir in the wet ingredients (FatButter, Stevia Drops, cold brew). Mix thoroughly to combine. It should yield a thick batter. Add crushed almonds to a small bowl. Coat your hands in coconut oil to prevent sticking and take a quarter-size amount of the batter and roll into a ball. A small cookie scoop makes this process much easier. Roll each ball into the crushed almond slivers to coat. Place on cookie sheet, plate, or directly into airtight container. Repeat with remaining batter. Freeze for 10 to 15 minutes before serving. Can be stored in the refrigerator for up to 5 days in container. *If you don’t have this on hand, you can substitute with ¼ tsp. vanilla extract plus 2 tsp. granular sugar substitute of choice, like erythritol-based “Swerve” or Stevia. .
Preheat your Belgian waffle maker. Lightly coat with coconut oil to prevent sticking. In a large mixing bowl, add the gluten-free mix, whisked eggs, almond milk, melted coconut oil, 2 tbsp. 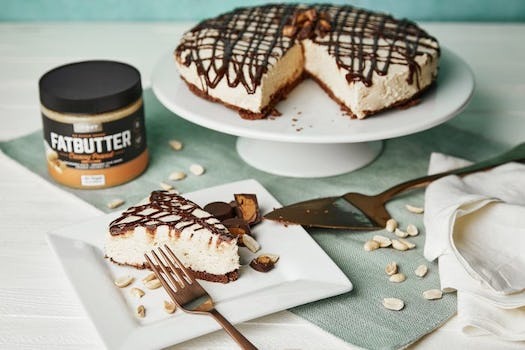 Onnit Salted Almond FatButter, and 2 tbsp. maple syrup. Stir to combine thoroughly. Pour ½ of the batter into the waffle maker. Flip when advised. Remove waffle and set aside. Repeat with remaining batter. Drizzle each waffle with the remaining 2 tbsp. Salted Almond FatButter. If you’re like the majority of the population, you don’t have a piping bag for decoration. So I added the FatButter to one corner of a sandwich-size Ziplock bag. Then I cut a tiny portion of the tip off, not too big, just enough to be able to pipe out the nut butter. Then I lightly drizzle it across the waffle in zig-zags. I garnished with fresh mixed berries and coconut whipped cream, served with a side of maple syrup. But feel free to add whatever tickles your fancy: grass-fed butter, bananas, crushed nuts for crunch. Go on, get crazy with it! *This is my favorite gluten-free mix with only 7 simple ingredients. 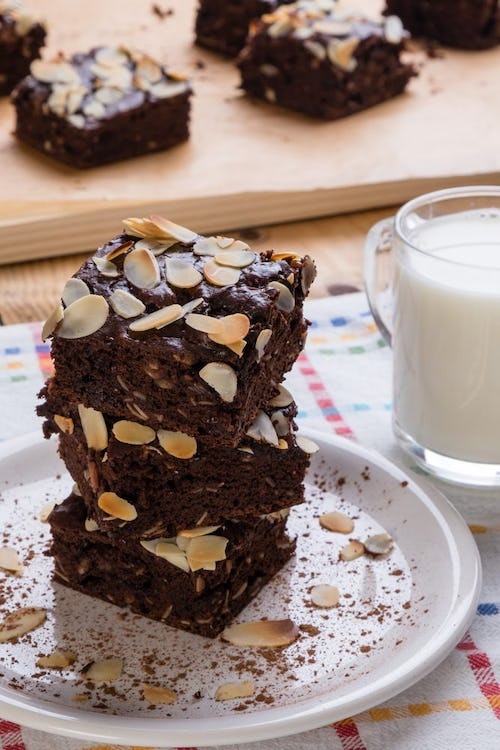 I like to keep it on hand for ease of the recipe, but you can easily create your own homemade mix with 1 cup almond flour, ¼ cup arrowroot starch, 2 tbsp. coconut sugar, 1 tbsp. coconut flour, 2 tsp. cream of tartar, 1 tsp. baking soda, and a pinch of sea salt. Line a mini muffin pan with 12 mini baking [muffin] cups. In a double-boiler, add the chocolate chips and coconut oil. Heat on medium-low and continue stirring until the the chocolate is fully melted and the mixture is smooth. You can also do this in 30-second increments in the microwave. Spoon about ½ tbsp. of the melted chocolate mixture into each baking cup or just enough to cover the bottom with a thin layer. After you have filled the cups, carefully tip the pan so the chocolate spreads halfway up the sides of each cup. Place the pan in the freezer for 10 minutes or until the chocolate hardens. In a separate mixing bowl, add the Peanut Butter Fatbutter, Sweet Leaf Stevia Drops, raw honey, collagen powder, and 1 tbsp. of almond milk. Stir until smooth. Remove the muffin pan from the freezer. Add a 2-tsp size dollop of the protein peanut butter mixture in each muffin cup. Spread along the bottom, leaving a little room along the edges. Pour another ½ tbsp. of melted chocolate in each cup, fully covering the peanut butter mixture. Sprinkle Himalayan salt on top. Freeze for about 1minutes, or until the chocolate shell fully hardens. * I used Lily’s Stevia-sweetened dark chocolate baking chocolate chips in this recipe. Unsweetened dark chocolate chips can be substituted, but that’ll add sugar. **I recommend using vanilla or unflavored protein powder; preferably an all-natural variety with little to no artificial flavoring or dyes. We like Primal Kitchen’s coconut-vanilla collagen protein and Vital Protein’s unflavored collagen peptides. Remove the cream cheese from the fridge and their boxes to let them come to room temperature while you prepare the crust. Preheat oven to 350-degrees Fahrenheit. For the crust: In a medium mixing bowl, add almond flour, melted butter, egg, cacao powder, Himalayan salt, and 3 tbsp. Stevia powder. Stir until combined. Lightly grease the bottom and sides of a 9” springform pan with coconut oil. Spread the mixture in the pan and lightly press to the bottom to form the crust. Bake for 10 minutes. Remove from oven and let cool to room temperature, while you continue the remaining steps. In a large mixing bowl, add the cream cheese, granular Stevia or sweetener of choice, and salt. Using an electric standing mixer, mix on medium-low for a few minutes, or until the mixture is creamy without clumps. Fine particles are OK and will integrate when baking, but large clumps are likely a result of your cream cheese being too cold. Add 1 tsp. vanilla extract, cream fraiche, and Creamy Peanut FatButter. Mix on medium-low speed until smooth. Add in each egg one at a time. Once each egg is mixed in, add in the next. Mix on low speed until combined. Pour filling over the cooled crust. Bake cheesecake for 55-60 minutes at 350. It's done when the outer edges two inches are set, but the center jiggles slightly, similar to Jell-O. Turn off the heat, but leave the cheesecake in the oven with the door cracked open for 45 minutes to an hour to let cool. Refrigerate, uncovered, for 4 hours or overnight in fridge. If you cover it, the condensation will ruin the cake, so don't do that. When you're ready to serve, remove from the fridge and let sit for 30 minutes. Meanwhile, make the ganache drizzle. In a double boiler or microwave-safe bowl, add the chocolate chips and coconut oil. Melt until smooth. Stir in the vanilla extract at the end. Drizzle with spoon, piping bag, or pour warm mixture in a quart-size plastic bag. Carefully tilt chocolate mixture to one corner of the bag, cut a tiny portion of the tip off to create a makeshift piping bag. Drizzle on top of the cake in zig-zag lines. 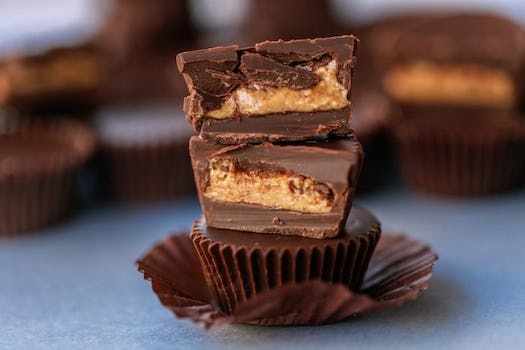 Serve with crumbled collagen PB cups or roasted peanuts on top, if desired.